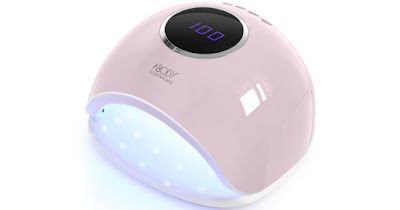 Head over to Amazon to score this Abody LED UV Nail Lamp for only $16 shipped when you use promo code CQE2RA2U at checkout. With its LED + UV dual light source, this lamp can cure almost all gel nail polish! It features 4 different time settings and a smart sensor that turns the nail lamp on and off automatically when you put your hands or feet in or out. The base is also removable for easy cleaning.